Here is a list of all the saffron tea products we make. Each green tea blend has a unique taste and delivers an gourmet experience on the taste buds. Whether you like simple green tea with saffron, a spicy tea blend with ginger, cinnamon, clove and cardamom, our blends will satisfy all your luxury tea needs! Kiwana’s Original Spice tea is the authentic blend which inspired the birth of Kiwana Teas. This spicy saffron tea offers strong taste of cinnamon, cardamom and clove, followed by a subtle taste of green tea, saffron and ginger. One of our customers described this as “the tea I want to drink when I am sick”. 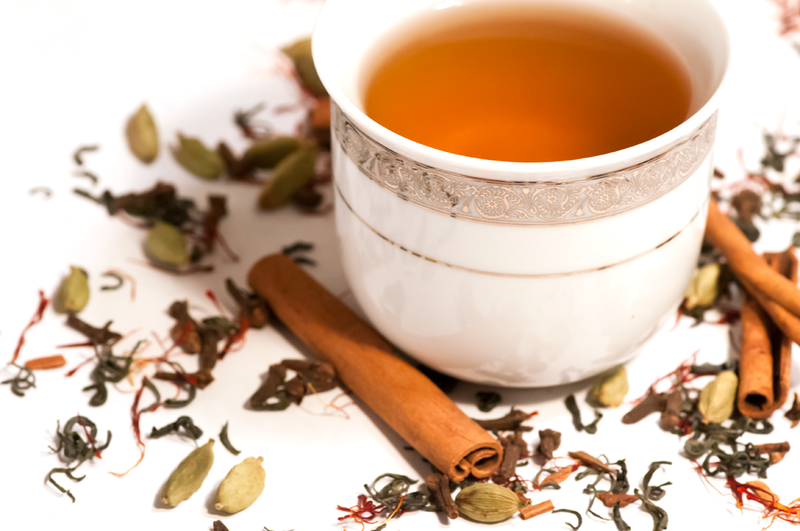 Fresh green tea leaves are blended with exotic set of spices including cinnamon, ginger, clove, cardamom, and saffron. This blend will give you a unique taste of a spicy saffron tea unlike anything you have experienced before. If you are an exotic tea lover, enjoy tea parties with your friends or just like to experience new specialty flavors, this is a MUST TRY for you! Drink this blend for a great "spicy tea"taste, with a subtle saffron touch and enjoy a kick of energy that follows this drink.